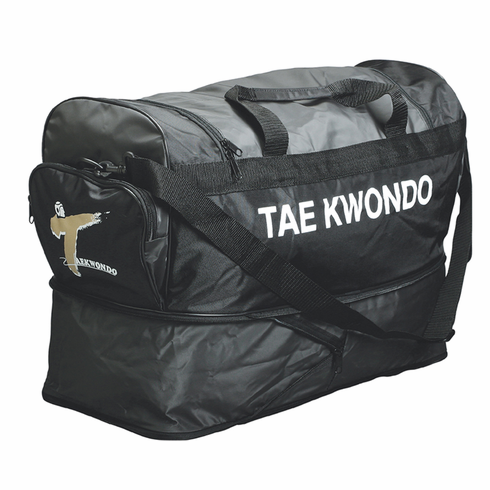 This bag is made of durable PVC vinyl and has adjustable shoulder straps (21" x 15" x 10"). When expanded, the measurements of this bag is 21" x 15" x 19". This bag will fit a full set of equipment. LIKE US TO GET INFORMATION ON OUR LATEST SALES AND SPECIALS! Copyright 2011 SpeedyKarate.com. All rights reserved.